I wouldn’t hold it against you if you didn’t recall Dreadnought. The space combat shooter, which features absolutely massive starships, was announced at E3 last year by Yager, and hasn’t made too much noise since then. The game is progressing nicely, and is still set for launch during the middle of this year. And if you had no idea what it was then, you certainly should be paying attention now. Not everyone is up for the space sim adventures that are all of a sudden coming back. You may want to be able to pilot an impressive ship and just shoot everything else that drops out of hyperspace. 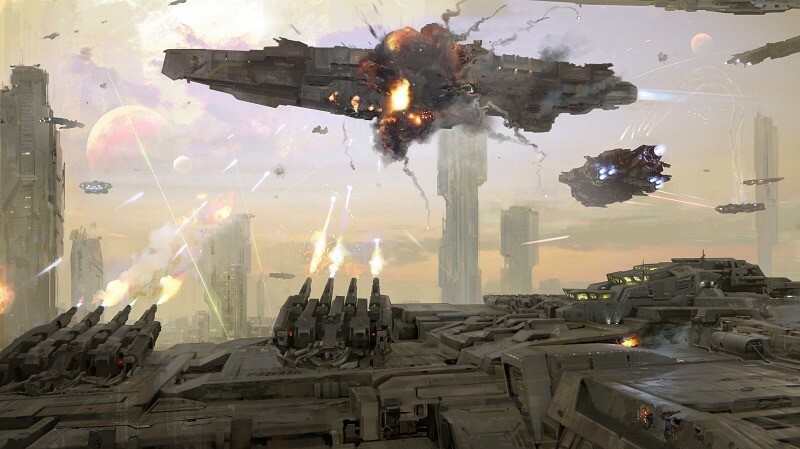 Dreadnought is probably the game for you then, focusing primarily on class-based shooting, although at a much slower pace than you’re probably used to. Piloting these Dreadnoughts is a tactical, almost crawling endeavour. You’re still able to flick the camera about and fire in most directions, but it adds a nice twists to placement. Some ships move faster than others, allowing you to engage enemies straight from respawn and duck out of firefights with ease. Others support the team while hardly moving at all, with a warp ability the only means to ping around the map. The classes Dreadnought feel like a MOBA more than a shooter, with placement often far more important than your actual attacks. The game isn’t multiplayer only, and Yager have promised a fully fledged single-player campaign with the title when it launches. It’s still not clear how much the game will cost, but it is coming exclusively to PC first, and via digital distribution only. Hopefully the game will make the jump to other platforms shortly afterwards, because it definitely looks like something I’d give a few goes at. In the meantime, check out ten minutes of deathmatch footage below.